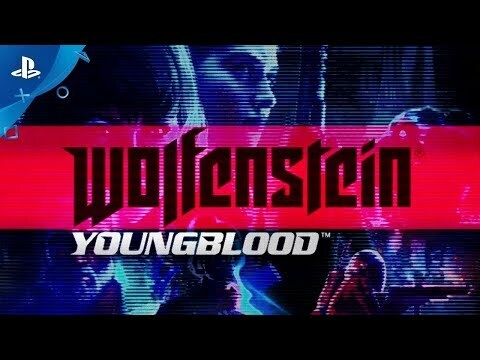 Explore a profound reimagining of 1980s Paris in a co-operative-focused adventure set in the Wolfenstein universe. 19 years after the events of Wolfenstein II: The New Colossus, BJ has vanished following a mission into Nazi-occupied Paris. Drawing on years of training and guidance from their battle-hardened father, BJ’s twin daughters Jess and Soph must launch into action to rescue their dad. Playing as either Jess or Soph, team-up with a new cast of freedom fighters and brave the unsettling sights and sounds of a retro-styled, alternate-reality Paris. Wield an arsenal of new weapons, gadgets and power armour abilities in a fight to force the Nazis from the city of lights once and for all. Team up with a friend or AI companion to perform tag-team manoeuvres or unleash devasting new weapons in the first modern co-op Wolfenstein adventure. Explore harrowing reimaginings of iconic Parisian landmarks with an all-new soundtrack inspired by the synth heavy-tones of 80's cinema. Level up, explore and complete missions to unlock new abilities, weapon attachments, gadgets, cosmetics and more to power your rebellion.